As all Portlanders know, sometimes the best things come on wheels. 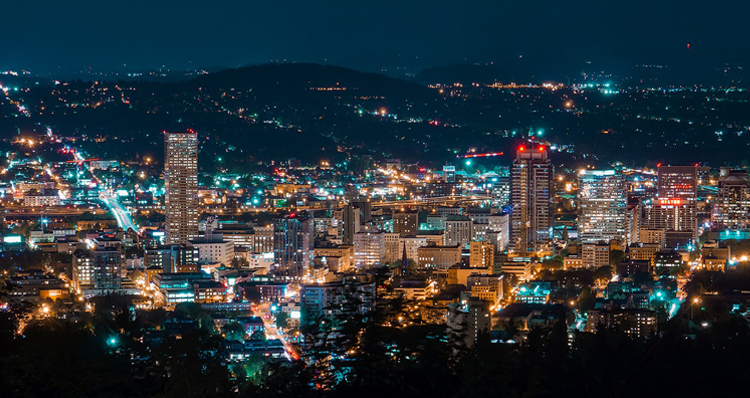 Whether we’re talking about your two-wheel mode of transportation or the incredible food cart culture our city is known for, Portland is certainly no stranger to unconventional mobile concepts. That’s why Silver Julep has been welcomed with open arms in the six short months they have been in operation! 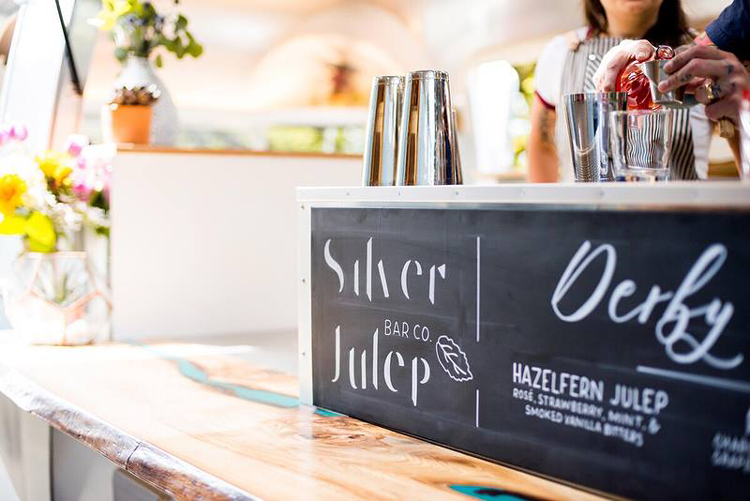 Silver Julep is an award-winning bar caterer housed in a classic Airstream trailer. 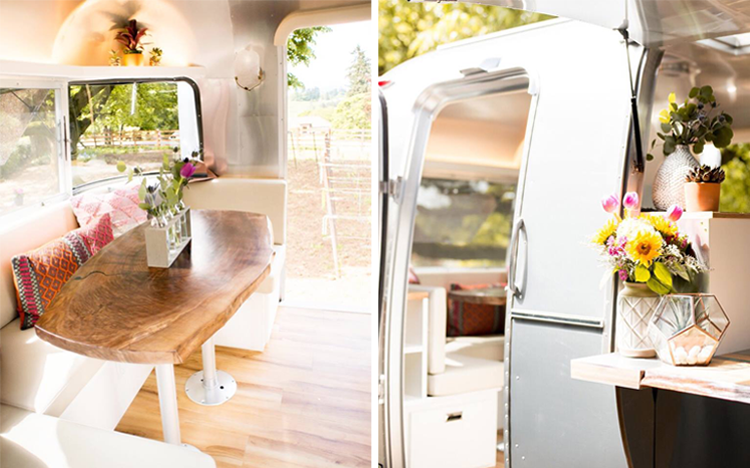 This bar-on-wheels is ready to roll up to your wedding, festival, marketing event or party with beautiful, custom-crafted cocktails, local beer and wine on tap, expert bartenders and worry-free hospitality. 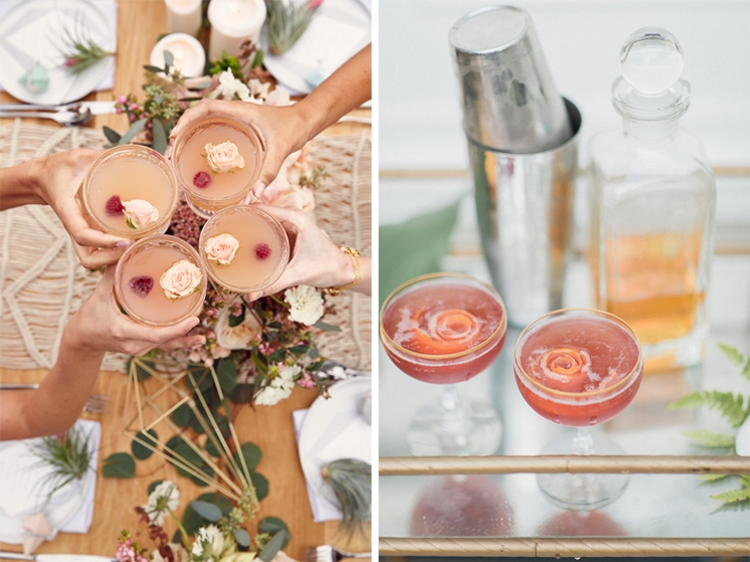 We caught up with the owner and visionary of Silver Julep, Kate Bolton, to learn more about how this unique catering concept was born. As it turns out, Kate’s love for all things mobile started just after childhood, when her family spent some time traveling across the country in an RV. Kate developed a love for the hospitality world even earlier than that, as she started working in restaurants when she was 15 years old — and never really left. She began studying the history of cocktails and bartending, paying close attention to the deep culture of bartending while living in San Francisco. After trial and error, Kate won a number of awards, including a San Francisco Chronicle Bar Star in 2012 and an Eater and Nighty Awards Bartender of the Year in 2013 and 2014. Plus, her menu at Maven was honored as 7×7 Magazine’s Best Cocktail Menu in 2014 and her cocktail program at Americano was voted Portland’s Bar of the Year by The Oregonian in 2016. 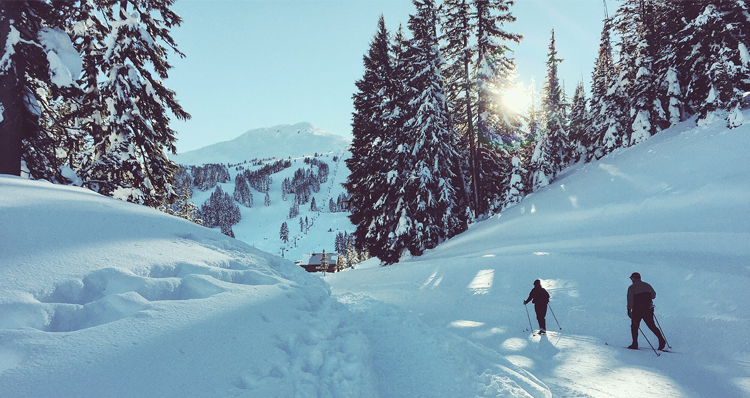 After getting married and having a baby, Kate and her husband wanted a different life for their family. They landed in Portland just a few years ago and the creative community (and fleet of food carts lining the streets) drew her in an unexpected direction. Kate was able to marry her love for crafting cocktails and taking care of people to her admiration for the mobile world. And she has done this so well! 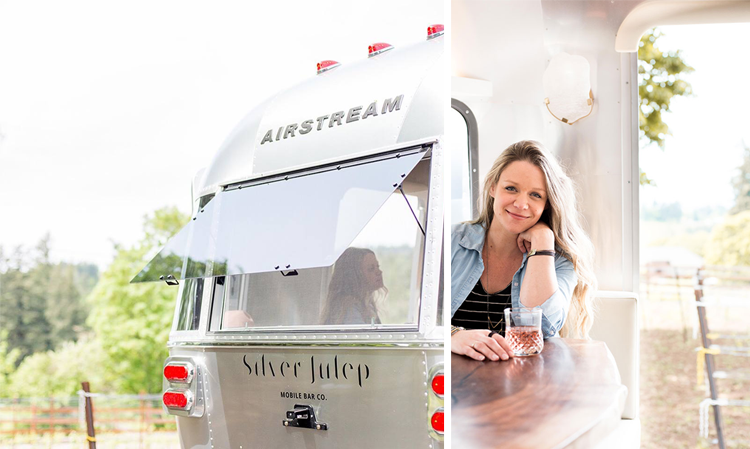 The 23-foot-long shiny aluminum trailer was intricately designed by Kate, using her experiences from building and working in bars over the years. 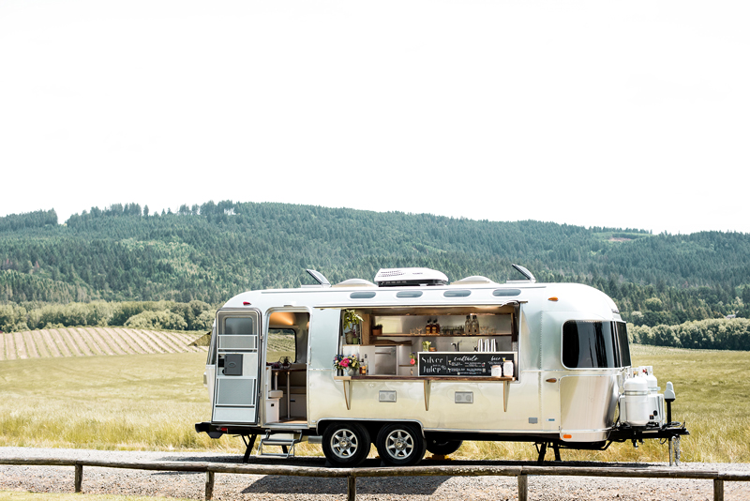 This complete bar on wheels is just as functional as any brick-and-mortar bar — maybe even more so because they serve wine and cocktails on tap in addition to beer. Plus, there’s even seating available inside! A black walnut table is surrounded by banquette seating that holds five people. Guests can get a true “behind the scenes” feel here, as if they are hanging out with the bartenders while they create drinks. Kate has created a warm environment (in an otherwise cold metal structure!) with touches like live-edge wood accents, alabaster stone sconces, plants and other organic materials. 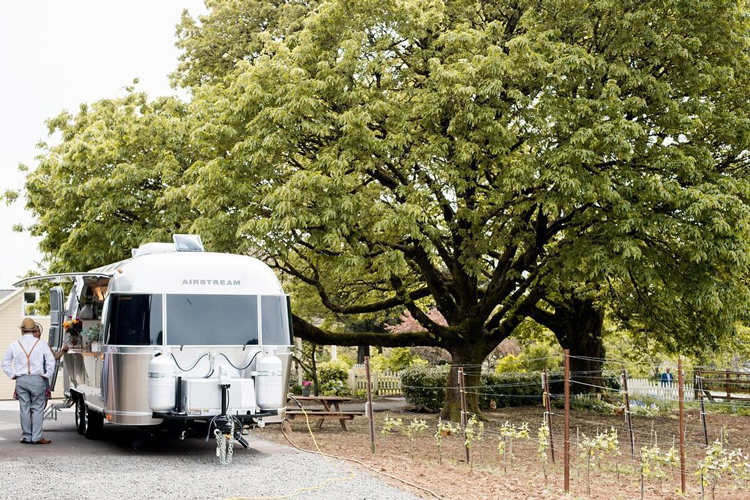 The trailer has six taps for cocktails, beer and wine, refrigeration, a freezer, a dishwasher, and two sinks with foot petals. Silver Julep truly has it all! When asked what her favorite part of her job is, Kate was unable to pick just one aspect. First and foremost, she mentioned her incredible team, who she says are like family — and her husband, who transports the trailer around town and ensures it stays up and running in the meantime. Plus, Kate genuinely enjoys the art of hospitality. That caring spirit has stayed with her since she was just 15, after all! Lastly, Kate is excited for the future of Silver Julep, as each day seems to be filled with adventure and possibility. Silver Julep is available to book year-round whatever the occasion may be, including weddings and unions, corporate and marketing events, and parties and festivals. 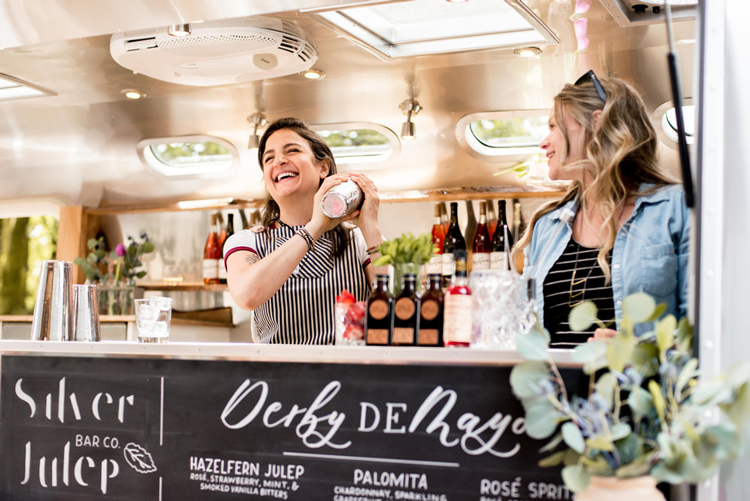 Their expert team can completely personalize the experience for you and your guests by creating a custom drink menu, engraving ice cubes with initials, a date or a logo, playing your playlist through their external sound system, adding themed decor to the trailer, and much more. 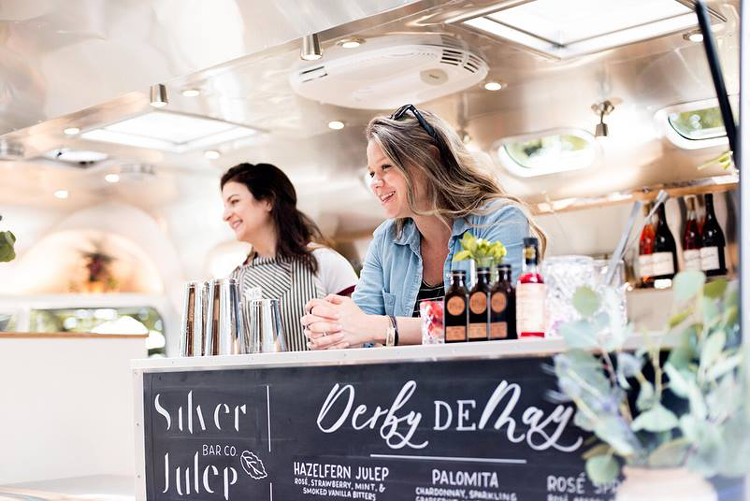 While the adorable silver trailer makes a striking first impression for guests arriving to your event or celebration, it’s the exceptional drinks and hospitable service they’ll find inside that make the most lasting impression. There’s a reason Kate has received so many awards for her creative concoctions throughout her career. Silver Julep’s sister company, Mint & Mirth, is responsible for the mixology aspect of the business. 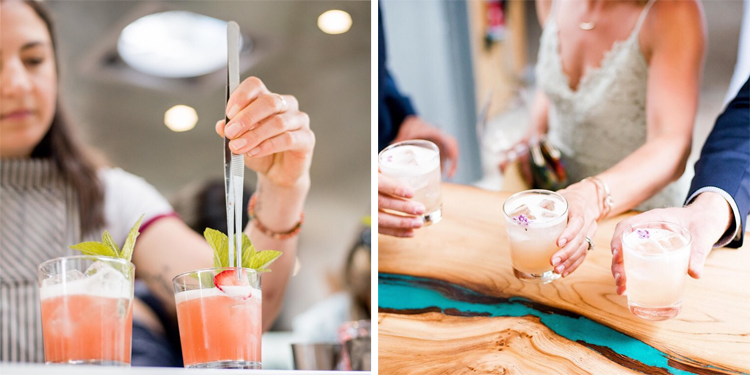 Mint & Mirth has served high-profile clients such as Airbnb, Filson, Patagonia and more, and was voted Oregon Bride Magazine’s “Best Cocktail Caterer” of 2016 and 2017. However, as far as style goes, Kate loves incorporating seasonal produce, herbs and spices. In the summer, she enjoys making a “peach whiskey sour” made with peaches from Baird Family Farm that have been flame-grilled and layered with basil, green cardamom and star anise — giving a classic and simple drink a bit more nuance and flavor. And recently, she made a pear-inspired Southside cocktail made with pears from Kiyokawa Farm in Hood River, layered with ginger, fenugreek and rosemary from her garden. Book Silver Julep for your next event or visit them at the Hey Holiday! pop-up at Jacobsen Salt Co. December 8 and 9. 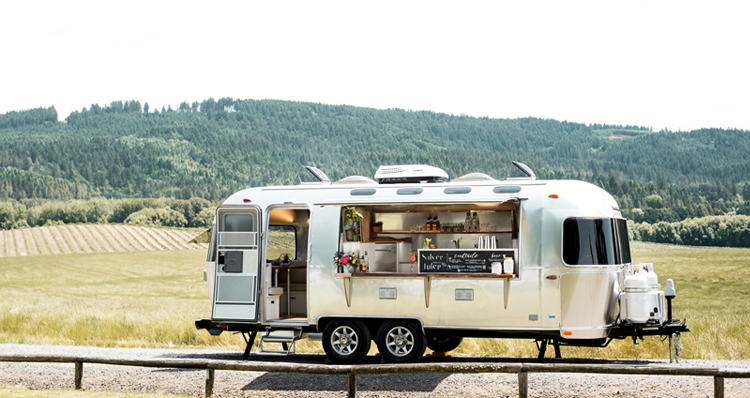 Silver Julep can roll up to just about any location in Oregon, including campgrounds, forests, farms, hotels, and big event venues. All they need is 23 feet of space, a little wiggle room to get the trailer in place, and no more than a 5–10% grade. 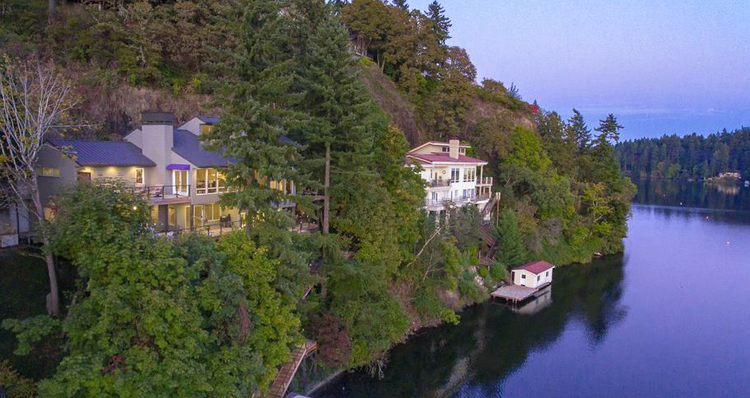 They can operate off the grid, but a hook-up to power and water is always nice. 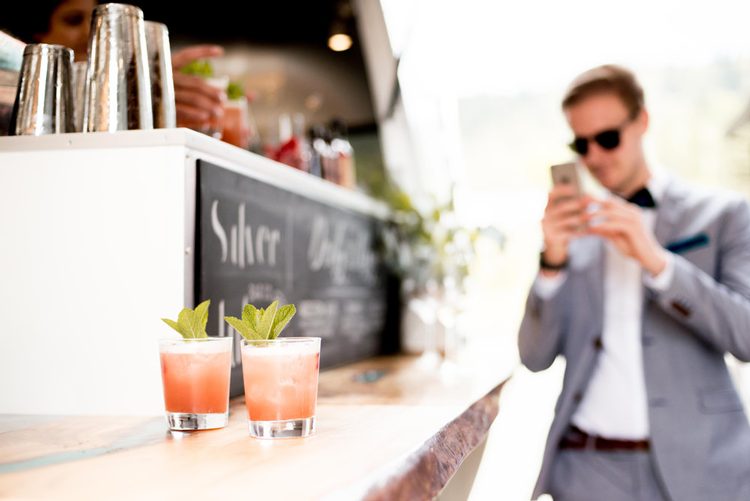 Contact the team at Silver Julep to begin planning your personalized bar-on-wheels experience!